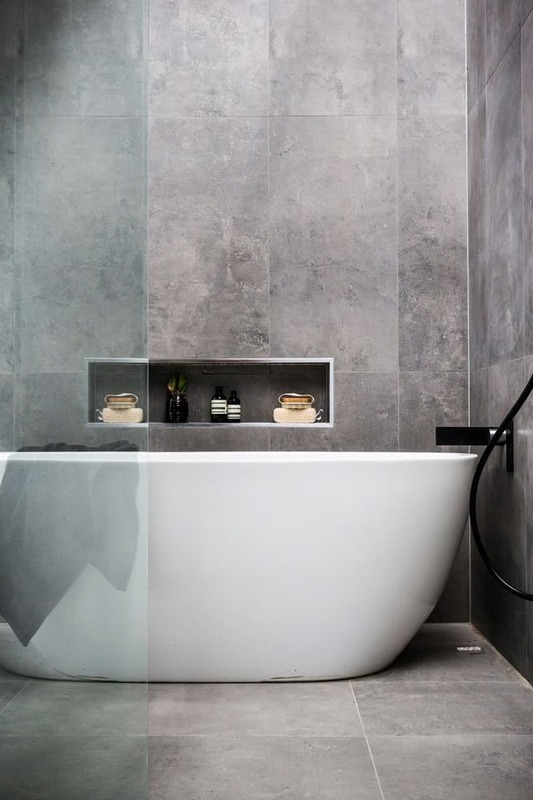 Varying tones of white, ivory, and gray visually combine to make this bath look expansive, belying its narrow dimensions and giving it a spa-like quality. 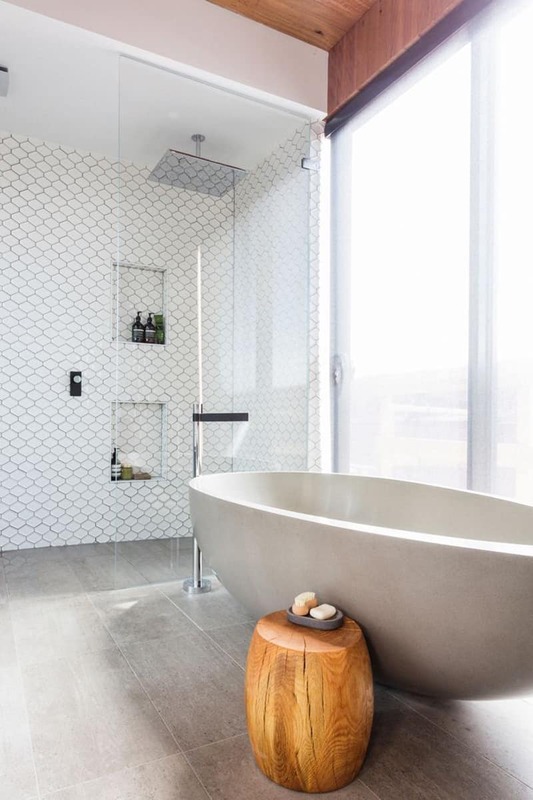 The room’s neutral color scheme achieves a sun-kissed radiance thanks to the natural light that flows through two divided-light windows: one in the shower and one above the tub. 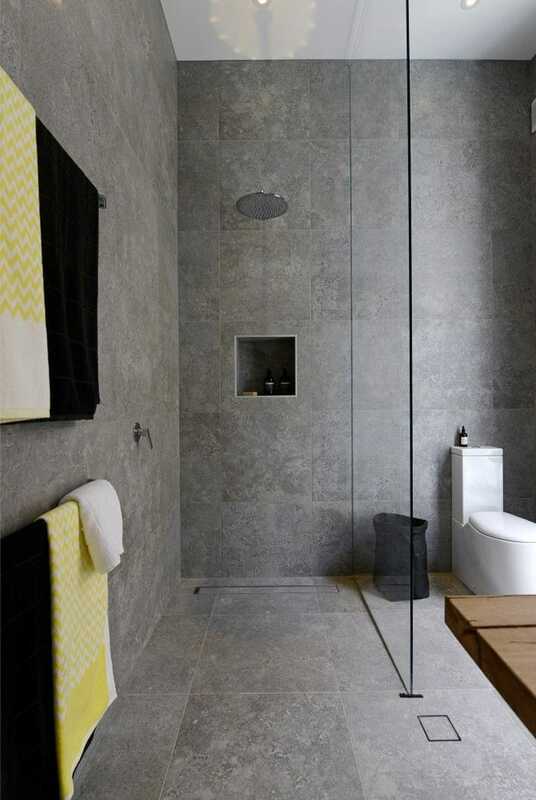 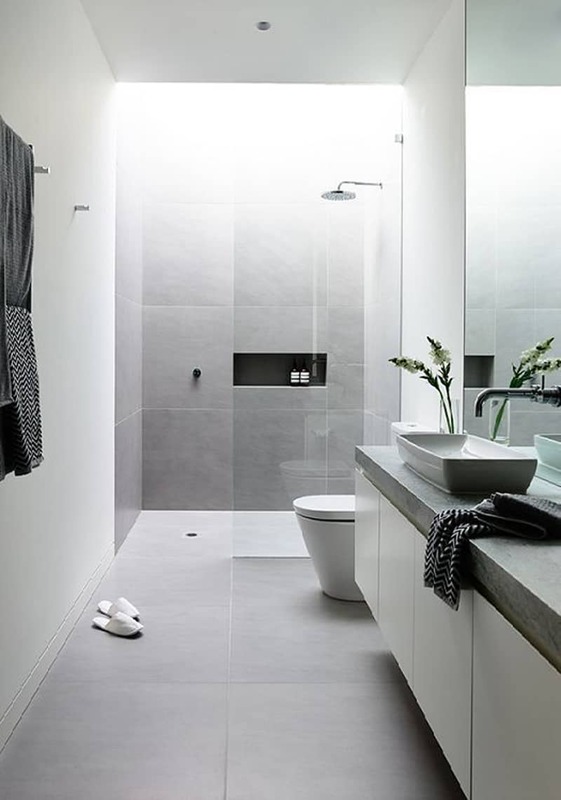 For today we gather 25 Gray And White Small Bathroom Ideas. 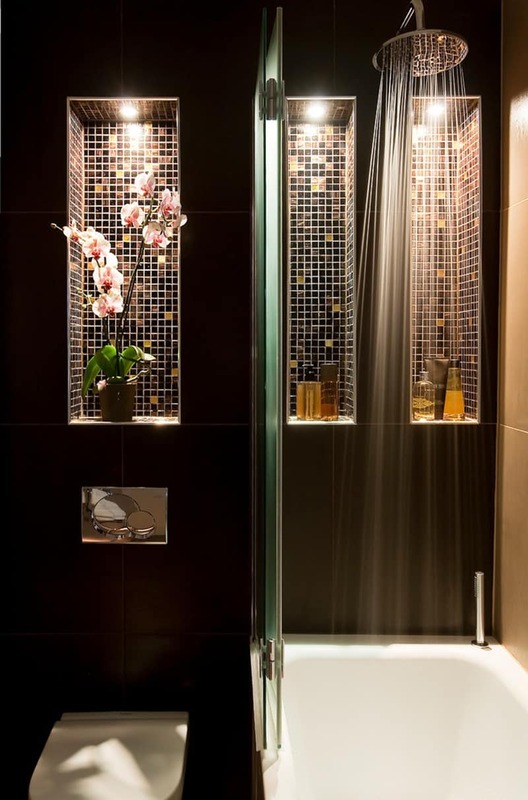 These colors success make people who see it fall in love with the harmonization resulted between these colors. 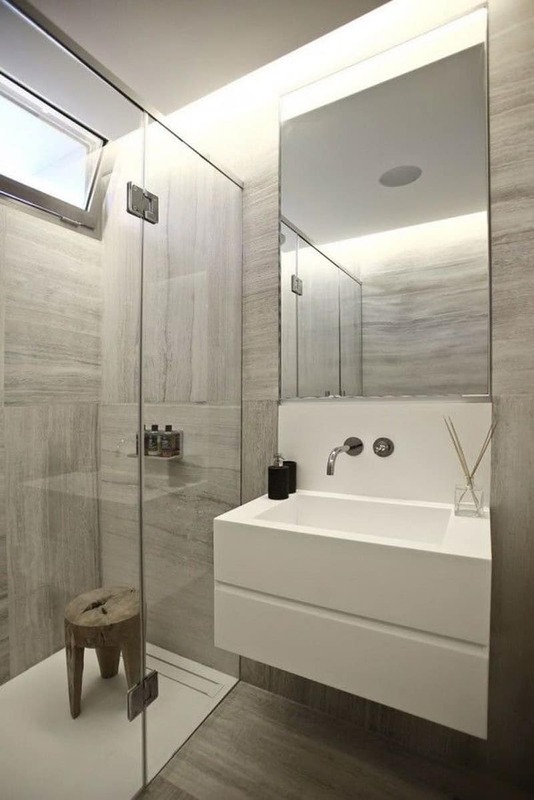 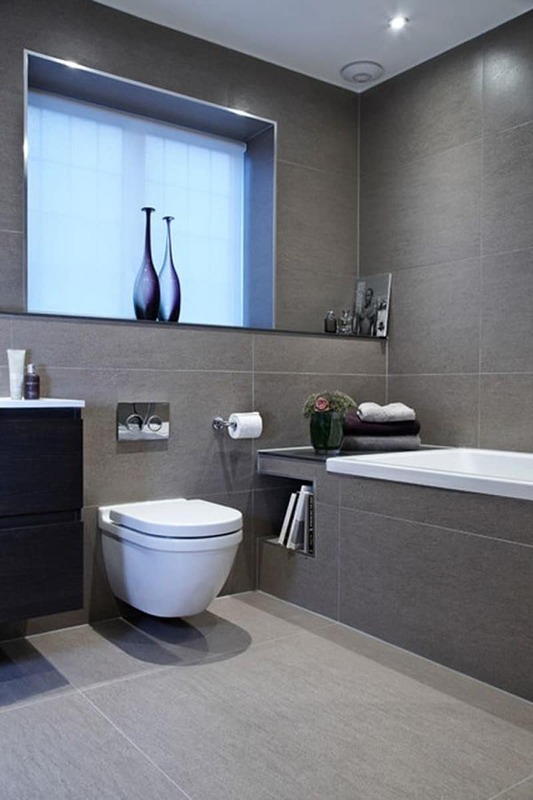 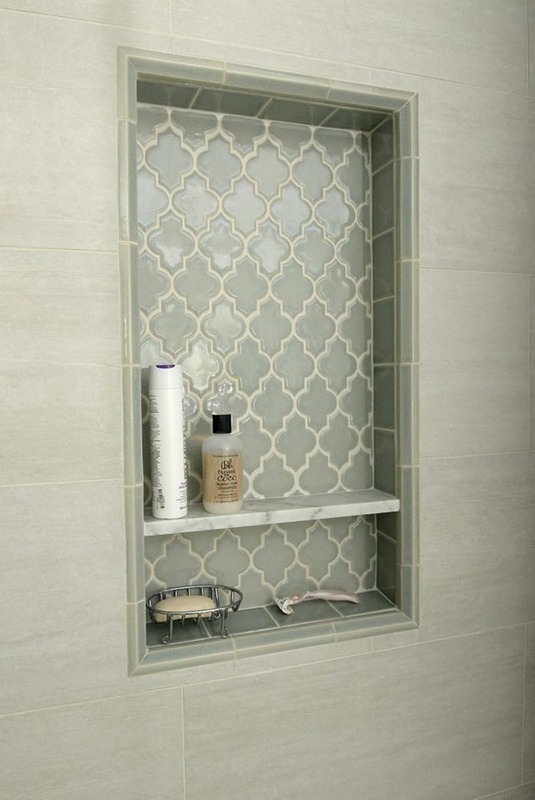 Gray and white color can be used as the theme for your bathroom. 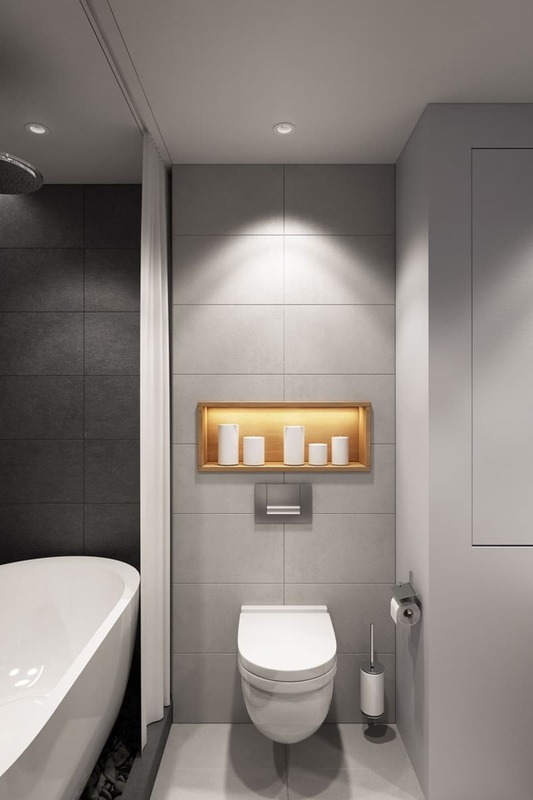 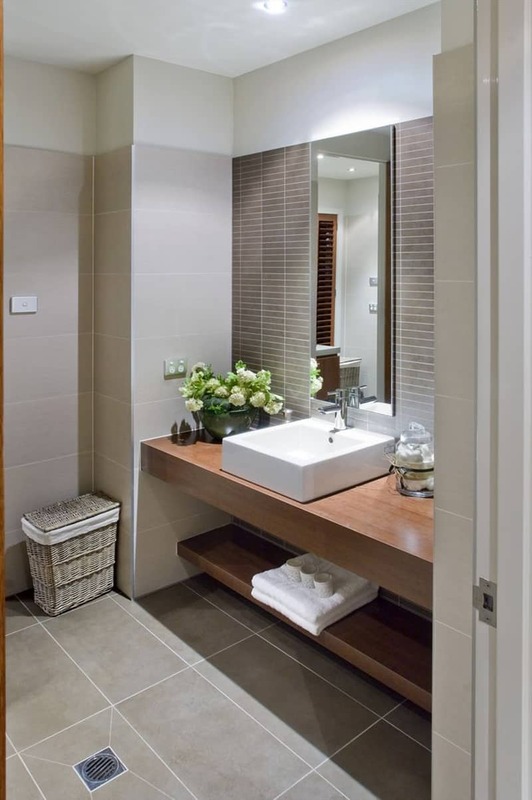 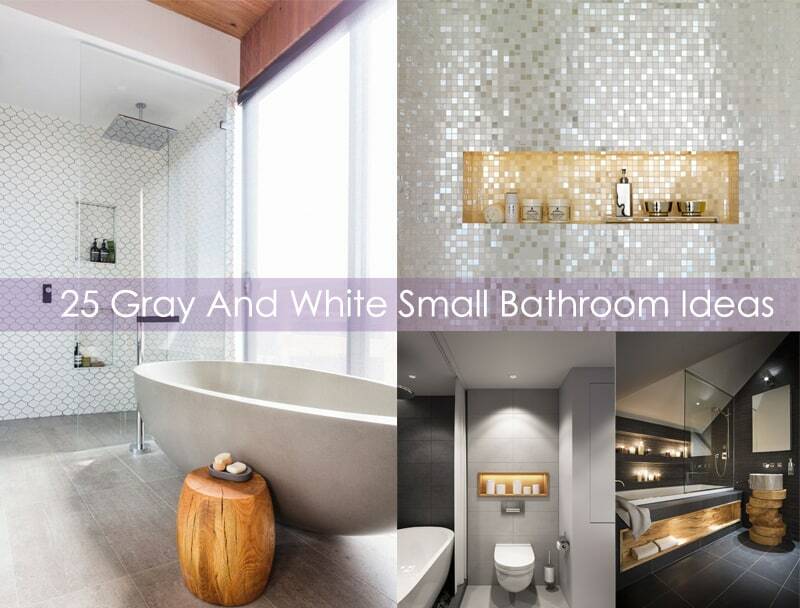 You can make an elegant and adorable bathroom in gray and white color. 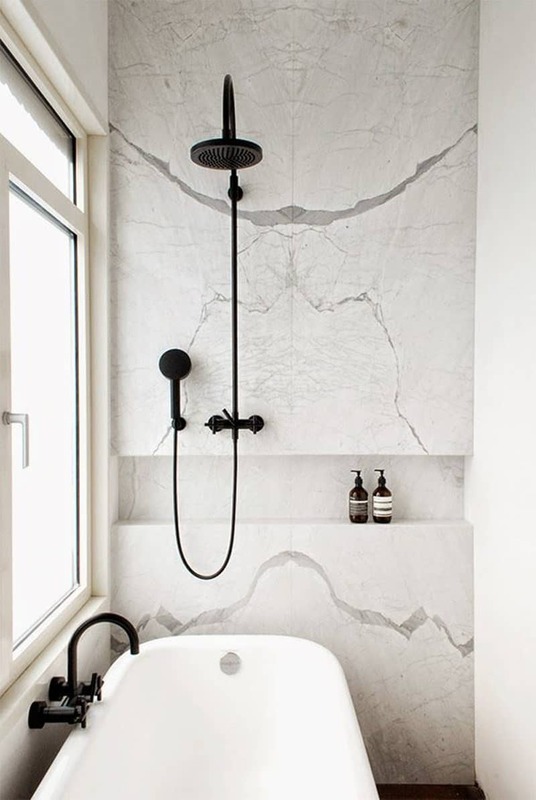 This light and airy feel translates into a period-style bath respecting the past while serving the needs of the present. 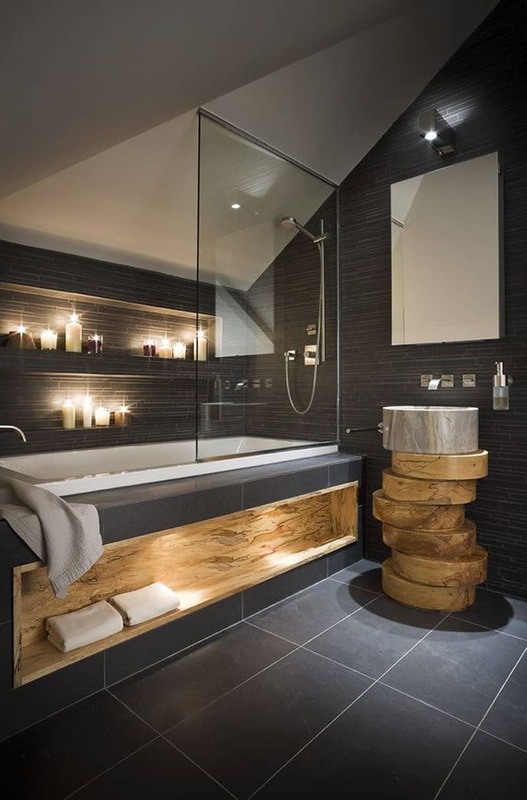 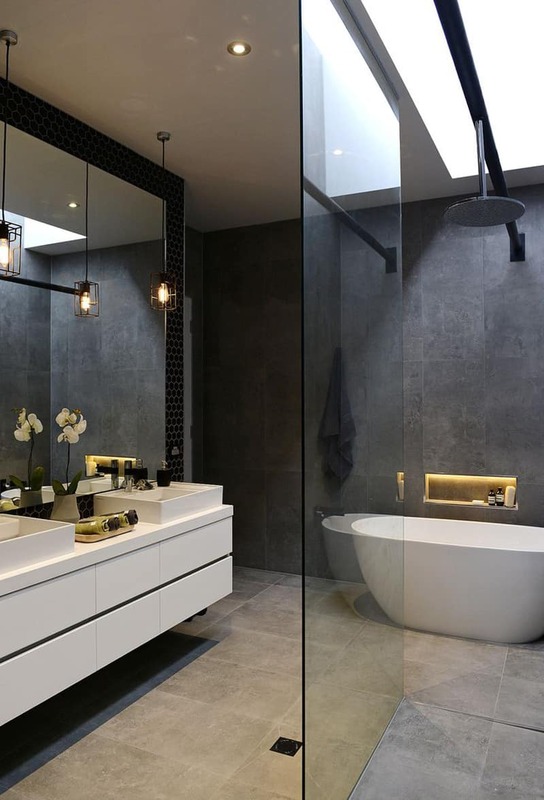 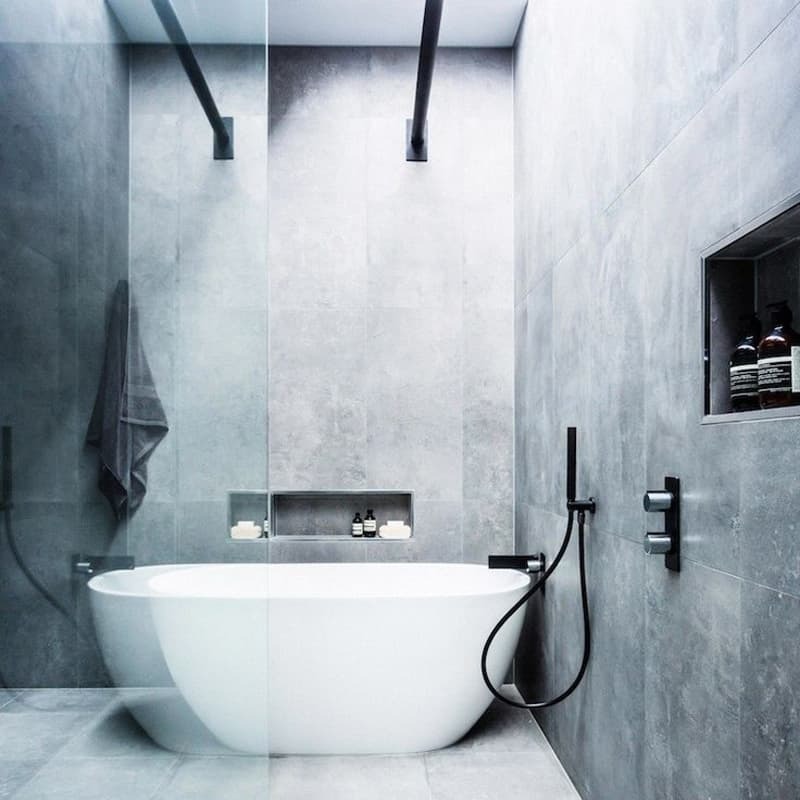 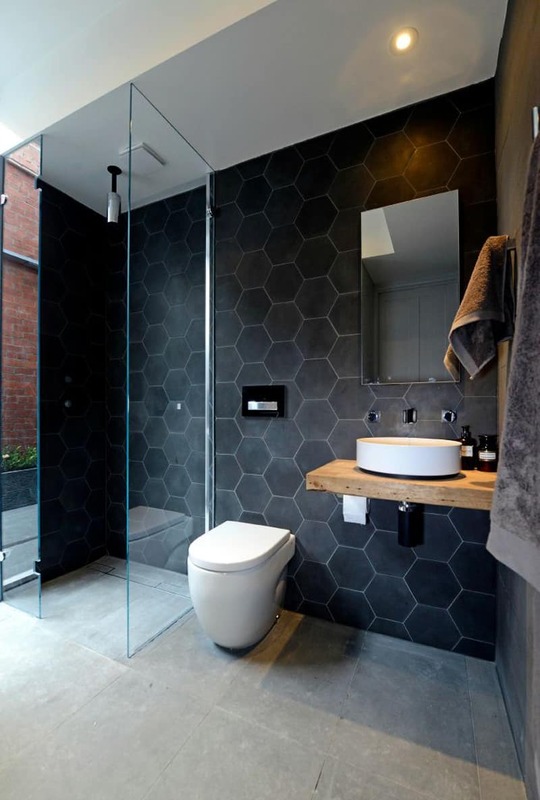 Create a sophisticated vibe with one of these inspiring bathrooms in shades of charcoal, slate, and silver. 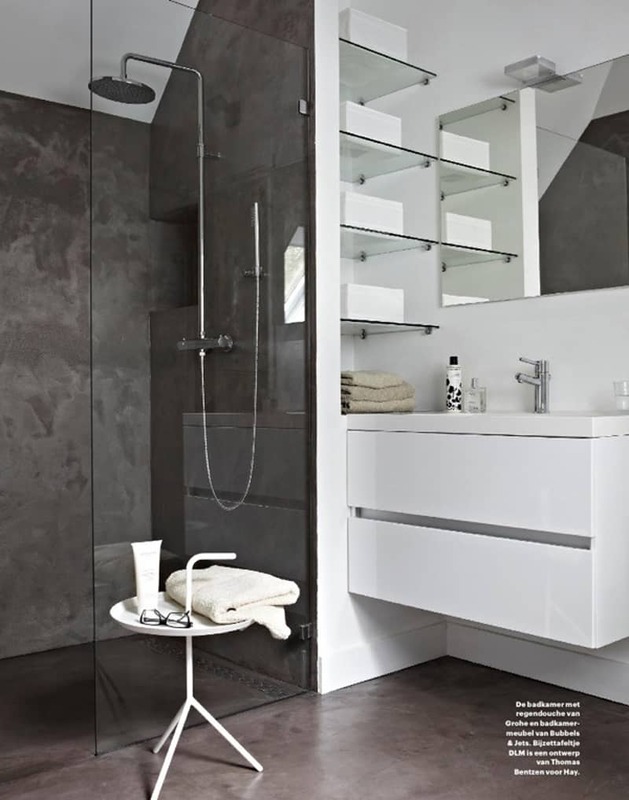 Subtle details bring life to a neutral color palette without taking away from the calm such hues are known to inspire. 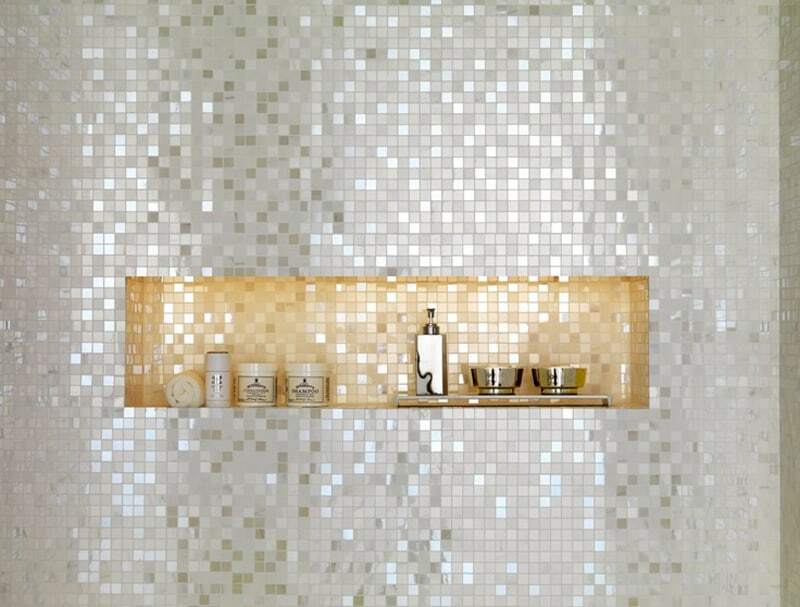 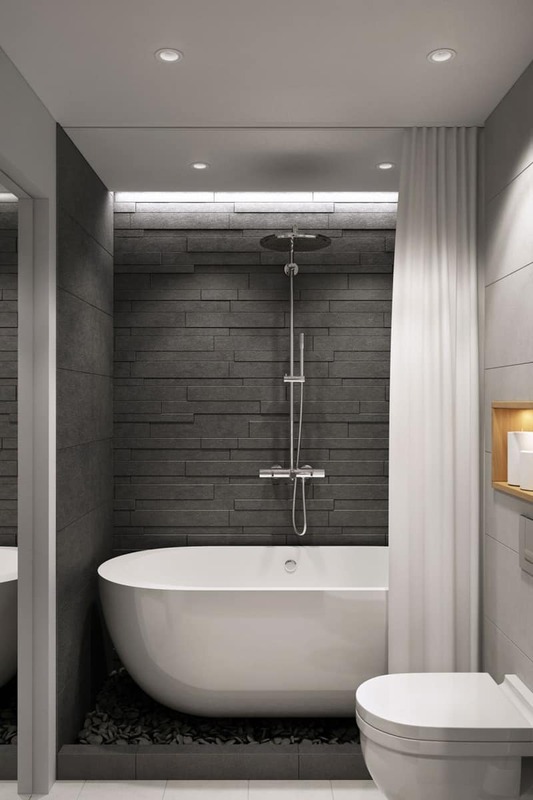 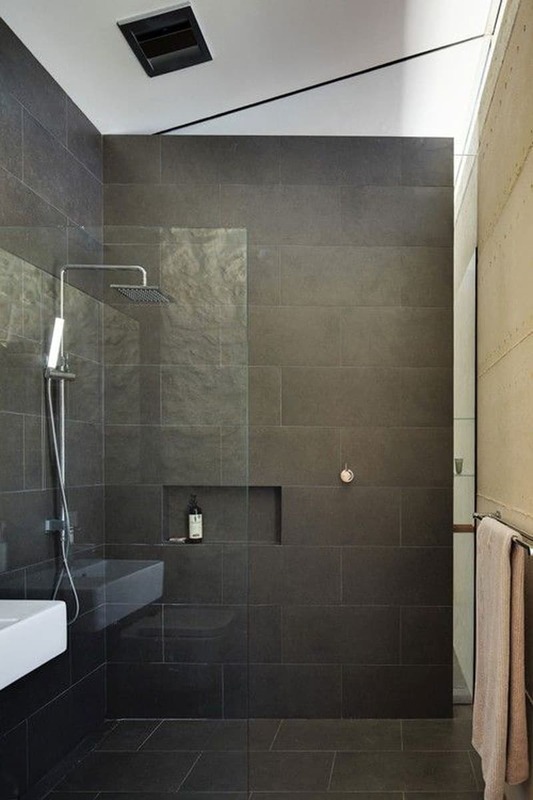 Here, pebbled walls, metallic porcelain tiles, and a wood ledge do the trick. 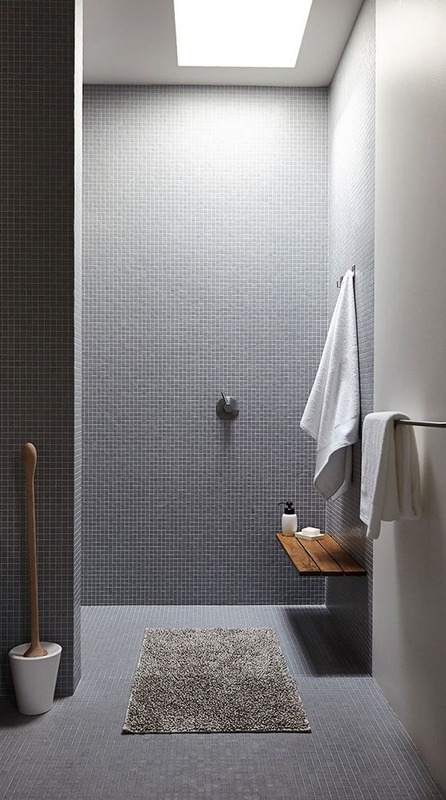 The dark flooring amplifies the barely noticable color variations in the wall treatment and draws out the texture as well. 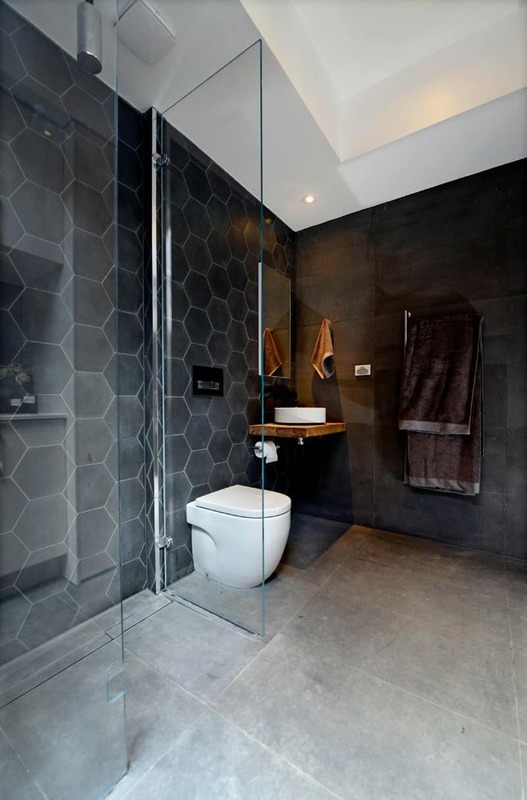 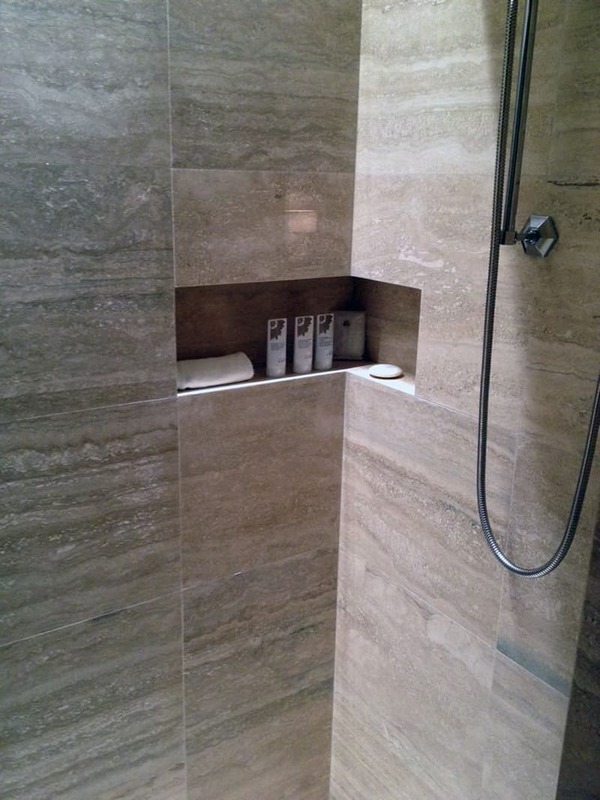 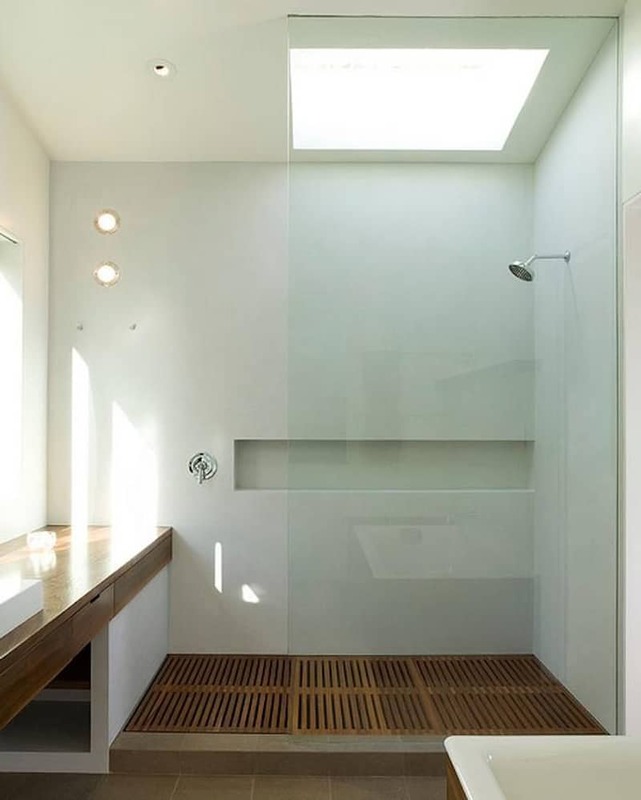 Choosing large squared tiles will fool the eye into believing the space is larger than it actually is. 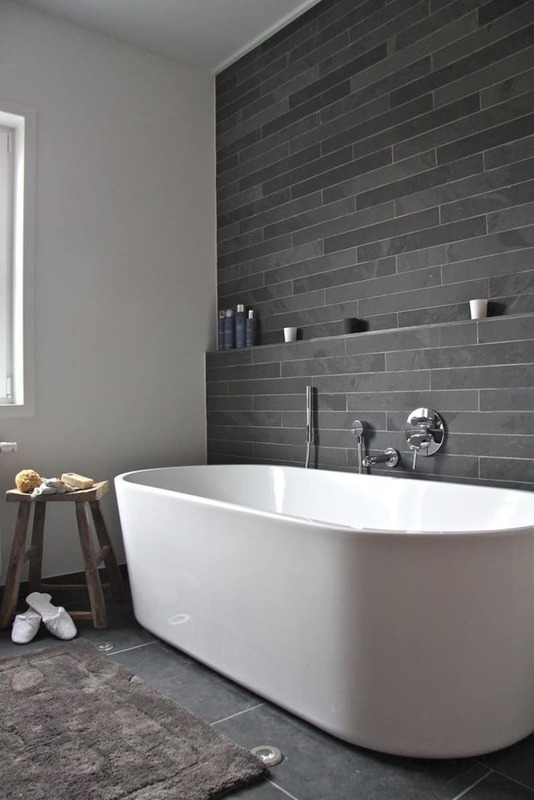 Keep the accents minimal so the room feels sleek and uncluttered.